Overdue account problems are more unlikely to occur if a business conditions its customers from the outset. If you do not enforce your credit terms, you are asking them to be ignored, or worse you may even been operating on your debtors terms. More than 80% of small business owners’ have experienced cash flow problems in the past 12 months, according to an online survey, therefore it’s critical for Australian business to be prepared to collect debts quickly and effectively. The survey highlights that only 17% of businesses conduct credit checks on new customers. Figures show that a debt overdue by one month has a 93.8% chance of being paid. This drops to 74% after 3 months and down to about 27% after 12 months. Not only do your chances of collecting an account diminish with time, so does the real value of the dollar you collect. Industry figures say that the collectible value of overdue accounts reduces to 67 cents in the dollar after 6 months past due, further reducing to 45 cents in the dollar after 1 year. In order to collect your outstanding debts quickly you need to ensure that you’re adequately prepared both before and during the business transaction. In order to do this you must ensure that you have a number of outstanding items covered before progressing your debt collection. Before you enter into any business transaction or loan agreement you must ensure that you have your Terms of Trade signed and agreed before the business transaction takes place. Having a terms and conditions of the transaction clearly outlines the responsibilities and expectations of all parties and provides you with a written agreement for conducting business together. By having proper terms and conditions signed and in place before the transaction occurs means that you have an enforceable contract in place should you need to collect money in the future. By having proper terms and conditions in place it will assist you should you need to follow up with the debtor or issue a complaint in the Magistrates’ Court. Failure to prepare your Terms of Trade means that you will potentially be stuck with the terms set out by the party you are conducting business with. Rarely will this be in your best interest if you operate on the debtor’s terms. Always set and agree to clear expectations any time contact occurs. Having confidence is a huge key to recovering debt quickly. Being prepared with pre built responses, to common questions or excuses, can help build your confidence and allow you to remain focused and in control of any conversations between you and the debtor. Be prepared by having the facts, records and a clear understanding of the clients’ history in front of you before you call. Your cheque is in the mail – You can respond by asking for the transaction details i.e. receipt number, date of posting, bank institution. Our system is down – You can provide alternative methods for payment and remind debtors of the terms and conditions for which they have previously agreed. We are waiting on client payments – Once again the terms of trade details is a signed agreement between you and the debtor, not their client, which can be used to remind the debtor of the terms they have agreed. I don’t have a copy of the invoice – Send the invoice again while you’re on the phone and confirm that the debtor receives it while remaining on the phone. Document and record each time the invoice has been sent and that the debt has confirmed that the invoice has been received. 3. Maintain Control with Flexibility, Clear Expectations & Record Keeping. Should you ever require the need to issue a complaint it’s very important that you have clear and concise records of the actions and events that have been taking leading to a legal ruling. It’s important to be able to show flexibility and that every attempt has been made prior to lodging a complaint. Listen carefull, take notes and record all information. 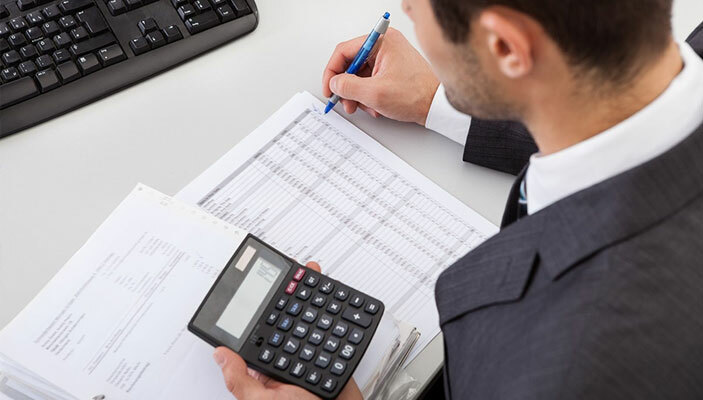 Document any mismatching information or information to indicate the debtor may not pay. Use silence compels the debtor to fill them in and may result in additional information. Maintain professionalism at all time. Don’t let the debtor manipulate you. Debt collection agencies are skilled in all of the above and have a clear collection process in place to collect debt quickly and effectively on your behalf. Debt collectors are expected to maintain a professional conduct between you and your debtor according to the guidelines set out in the ACCC debt collection guidelines. Some businesses lack the confidence to discuss money especially small business owners who may not be skilled in certain areas. It’s often viewed as if they’re begging or desperate when asking for the money they’re owned when that’s not the case. With over 80% of businesses experiencing cashflow problems it’s critical for your business to operate confidently and with a positive cashflow. Failure to do so may have more significant outcomes and affect the overall wellbeing of your business. If you’re the type of person that typically takes the softer approach, i.e. 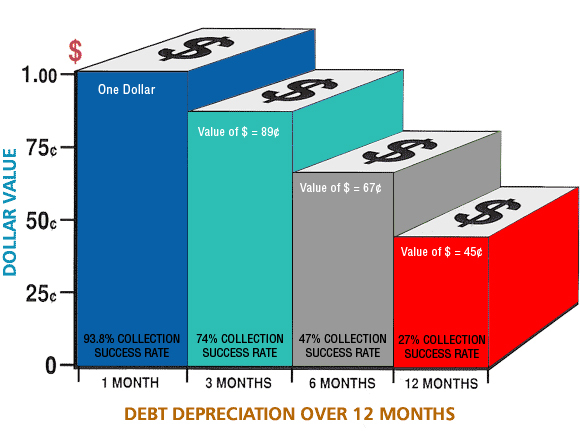 in favour of the debtor, or you feel that collecting outstanding debt is stressful then you may find that a debt collection agency is the perfect solution. Recently we discussed a common debt collection process and the steps that are taken when issuing a complaint. If you’ve done everything you can without effect it may be time to seek legal advice on how to issue a complaint to the Magistrates’ Court. Many Debt Collection Agencies have in-house lawyers or can refer you to a recommended business to assist and provide you with guidance for any legal actions required in collecting your debt. Remember that the chance or recovering your outstanding debts greatly decreases after 6 months so you must keep on top and don’t let time slip if you’re going to have a successful outcome. For that reason when issuing steps 4 and 5 it’s important to take action sooner rather than later. Great read thanks for the tips! Having an effective collection procedure is very important for every company. A reliable collections agency will have the right approach and resources to make every collection successful and easy for both the company and the borrower.